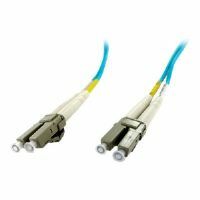 Connect fiber network devices for high-speed transfers with LSZH rated cable. 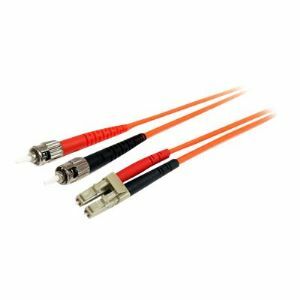 The FIBLCST10 10-meter (32.8ft) Multimode 62.5/125 Duplex Fiber Patch Cable is terminated with one LC (male) connector and one ST (male) connector, to provide the necessary connection between fiber networking devices for high-speed, long distance networks. The LC-ST Multimode Fiber Patch cable is guaranteed to provide long-lasting dependability, and top quality performance.